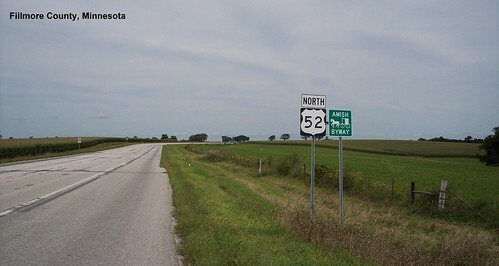 US 52 crossing from Iowa into Minnesota. 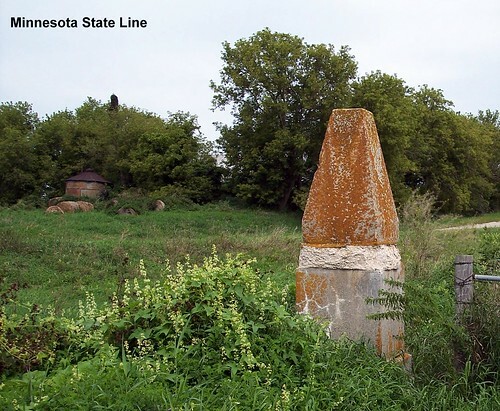 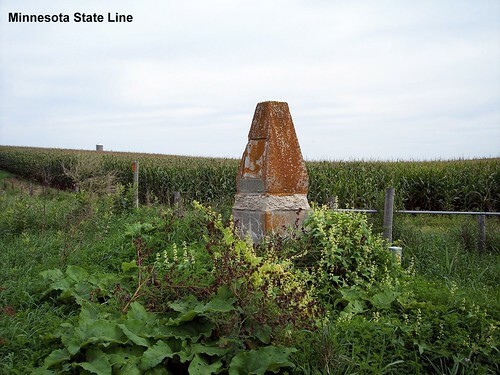 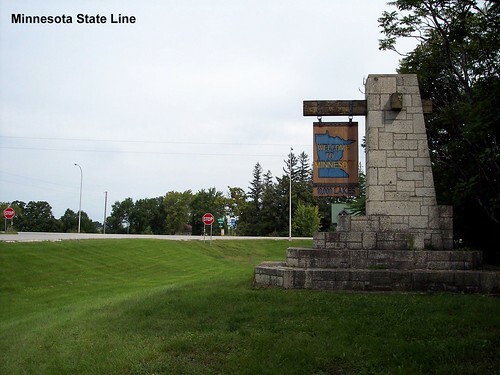 It looks like there was another monument at the state line on an earlier alignment of US 52. 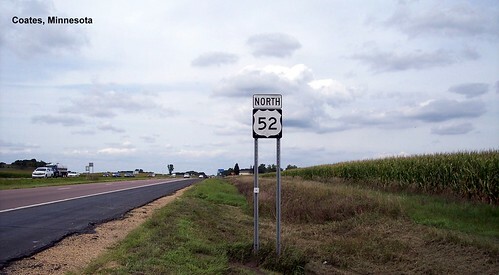 US 52 is only signed as far as the Twin Cities. 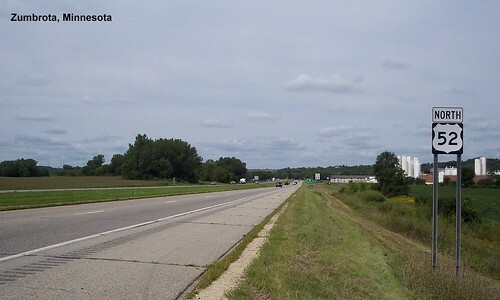 Beyond that it follows I-94 unsigned.